Dissection of the names probably isn't necessary, but as regular teardown readers may recall, SpeakEasy is the codename for Call Screen, and the rest of the name is pretty straightforward. Of course, the two lines also include the Moto and Nokia names. These flags are similar to another pair that belong to the recent beta test of Call Screen in Canada. The presence of these flags is all but a definite sign that Call Screen is expanding to more phones. However, they are both disabled, suggesting that a launch hasn't happened yet, and there aren't any clues to indicate a timeline for when it might happen. 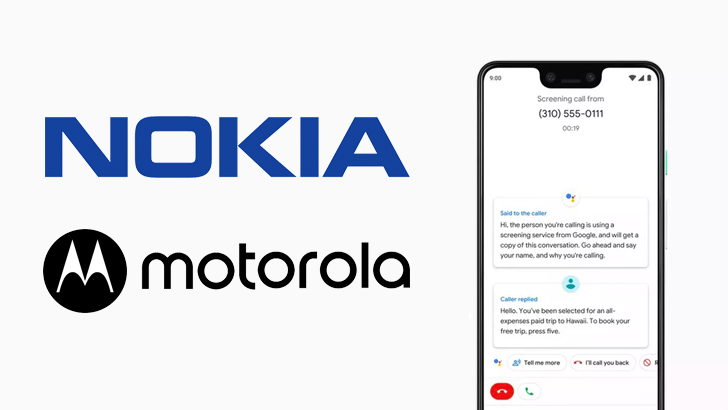 Since the Google Phone app only appears on Google-supported handsets, it's safe to say that Call Screen will only expand to Android One phones which makes up part of Motorola's lineup and all of Nokia's recent phones.